SAN FRANCISCO — With more than 2 billion users, Facebook's reach now rivals that of Christianity and exceeds that of Islam. 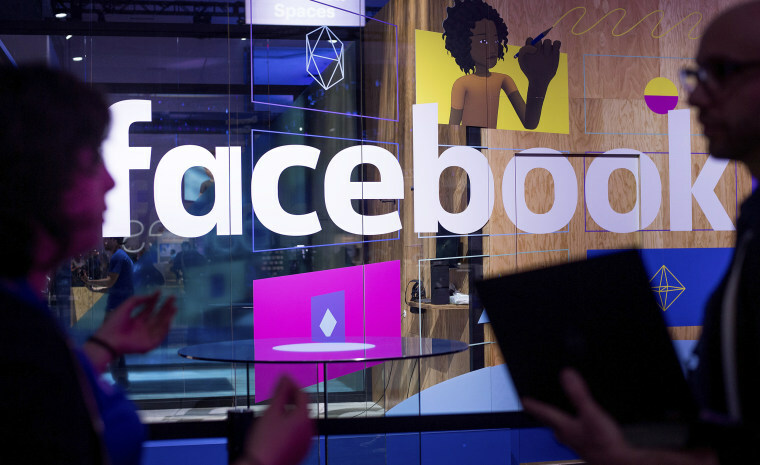 However, the network's laser focus on profits and user growth has come at the expense of its users, according to one former Facebook manager who is now speaking out against the social platform. "One of the things that I saw consistently as part of my job was the company just continuously prioritized user growth and making money over protecting users," the ex-manager, Sandy Parakilas, who worked at Facebook for 16 months, starting in 2011, told NBC News. During his tenure at Facebook, Parakilas led third-party advertising, privacy and policy compliance on Facebook's app platform. As Facebook transitioned from a Harvard dorm-room project into one of the world's most valuable companies, its power grew in ways that founder and CEO Mark Zuckerberg never could have anticipated. Over the past 14 months, Zuckerberg has gone from saying it was "crazy" to think Facebook could influence an election to vowing that 2018 is the year he will "fix" Facebook. While there are still lessons to be learned from how the Russians used the social platform to sow discord ahead of America's 2016 presidential election, critics say Facebook — and Zuckerberg — aren't acting quickly enough to prevent meddling in the upcoming midterm elections. "Facebook is a living, breathing crime scene for what happened in the 2016 election — and only they have full access to what happened," said Tristan Harris, a former design ethicist at Google. His work centers on how technology can ethically steer the thoughts and actions of the masses on social media and he's been called "the closest thing Silicon Valley has to a conscience" by The Atlantic magazine. In response to the comments, Facebook issued a statement saying it is a "vastly different company" from when it was founded. Harris, Parakilas and Roger McNamee, a former adviser to Zuckerberg and an early investor in Facebook, spoke with NBC News in exclusive television interviews about how they say Facebook has failed its users — and what, if anything, can be done to rein in its power. McNamee, who is one of the co-founders of investment firm Elevation Partners, alongside U2 frontman Bono, is even credited with encouraging Zuckerberg not to sell when Facebook had buyout offers in its early days. All three insiders have written and spoken extensively about their concerns with the tech industry over the last year. "What people don't know about or see about Facebook is that polarization is built in to the business model," Harris told NBC News. "Polarization is profitable." "Facebook is a living, breathing crime scene for what happened in the 2016 election." There's a reason Facebook prioritizes user growth. The more data a person shares with Facebook, the more advertisements can target a user, which makes users that much more valuable to Facebook. It's not just your name and age. Facebook can also track your likes, the content you write, your purchases and your location. McNamee said the formula simply isn't good for democracy. "All the content is stuff that you like, right? It's what they think you like. But what it really is, is stuff that serves their business model and their profits," he said. "And making you angry, making you afraid, is really good for Facebook's business. It is not good for America. It's not good for the users of Facebook." Last fall, Facebook disclosed to congressional investigators that 150 million Americans were exposed to advertisements placed by Russians on Facebook and Instagram, the photo-sharing app it owns. McNamee said he first realized content was being used to manipulate Facebook users during the first 2016 Democratic primary. He said he sounded the alarm to Zuckerberg and chief operating officer Sheryl Sandberg in an email, and said he heard back from both in a "matter of hours." "They treated it like a public relations problem, rather than a substantive issue for the business," McNamee said. "Making you angry, making you afraid, is really good for Facebook's business. It is not good for America." Parakilas said he spoke up about possible issues before the company went public in May 2012. He said he showed senior executives how Facebook could be co-opted by foreign governments, but said no action was taken. "It makes me terrified that something that I had a small part in helping to build is being used by people with really bad intent against America," he said. "They don't have sides. They're just trying to sow chaos." Harris said, "I think Zuckerberg personally needs to feel the weight of this on his personal shoulders." Last week, Zuckerberg announced that Facebook is changing its news-feed algorithm to promote more quality interactions between friends and family, with less content from pages, publishers, and brands. The news sent Facebook shares tumbling 4 percent. "I expect the time people spend on Facebook and some measures of engagement will go down," Zuckerberg wrote in his Facebook post detailing the new strategy. "But I also expect the time you do spend on Facebook will be more valuable. And if we do the right thing, I believe that will be good for our community and our business over the long term, too." The moves to fix Facebook may be too little, too late, however: McNamee, Parakilas and Harris said self-regulation won't be enough. "They had been told that culturally in Silicon Valley it was OK to disrupt things." They are calling on Facebook to make its data available to outside researchers who can be tasked with discovering suspicious activity before it becomes a widespread problem. They also want there to be limits on how long social media companies can use their data and, if all else fails, possibly break up social media companies that grow too large for their own good. "Their goal wasn't to let this to happen," McNamee said. "The problem was they crafted a model that was so perfect for them, because they had been told culturally in Silicon Valley that it was OK to disrupt things. They weren't responsible for the consequences."